Birmingham has been chosen as the next location for a pop-up Lomography UK store, following on from its permanent shops in London and Manchester. Several other pop-up shops are planned for the UK throughout 2012, with the first appearing at the Selfridges Store at the Bullring shopping centre in Birmingham. There will be the wide-range of analogue cameras currently manufactured by Lomo at the shop. Workshops which will be suitable for photographers new to analogue photography and those who are more experienced will also be available. Lomo is also promising that it will be releasing some new products from the Selfridges pop-up shop, so hopefully that means we can expect some new launches imminently. 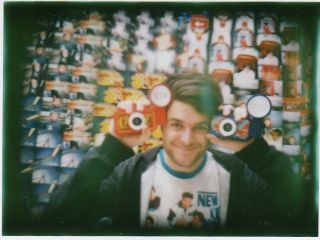 The makers of retro plastic analogue cameras, Lomography has a worldwide cult following and already has several stores across the globe. Boasting two stores in London, it recently opened up to the North with the launch of its Lomo Manchester store back in December. It also has a dedicated LomoLab for processing prints taken by "Lomographers." The Lomography Birmingham Pop-Up Shop will open at Selfridges from the 23rd January and will be subject to the usual Bullring opening hours.